The German designed Spleene 2017 RS 38 twin tip has been marketed as their freeride&freestyle board. The figures of the RS 38, with 42,5 cm wide, suggest a pretty big board. Good thing is that it feels much smaller and is surprisingly alive under your feet. The Spleene RS 38 would fit a typical freeride kiter from 75 kg’s and more, who wants to be triggered to bump&jump and play around very happily. But it is not a radical wakestyle board and neither a light wind miracle. 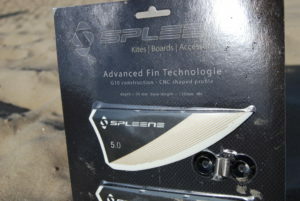 Some may know Spleene from its huge -pre foil era- light wind “door” boards. They still sell them. 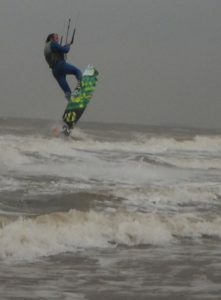 But as they say themselves “foils are only used by a few percent of the riders“. 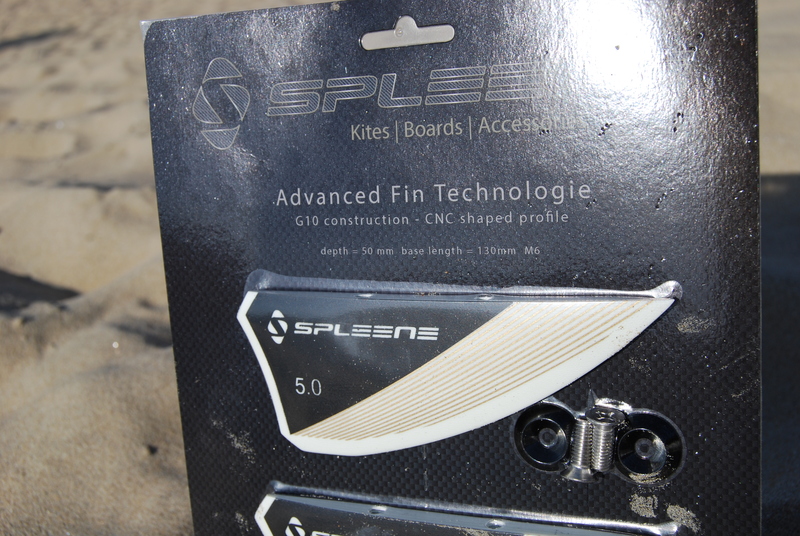 Next to a whole range of freeride boards and a wake style board (released in November 2016), Spleene also sells 2 lines of tube kites; the all-terrain 4-strut SPX3 and a light wind 15,5 and 17,5 m2 QX line. 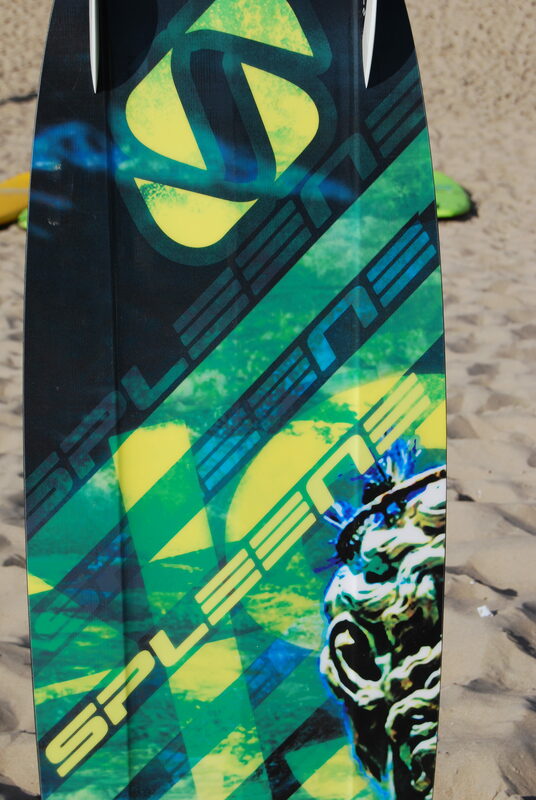 The RS board we tested is the 2017 and 5th version and is intended for more common conditions (see this link to view the previous versions, starting with the RS line in 2010). From this 2017 version there are two sizes available:135 and 138 cm. A 75 kg person, and heavier, can easily go for the bigger size. The RS has three options (like most traditional twin tips) width stances and some freedom in the back or forward setting of the pads from the rail. The board is provided with standard 5.0 cm G-10 fins, and almost any other brand would fit as well. The 2017 RS line is designed together with World Cup team rider Kelvin Corniel. From the impressive video’s of Kelvin riding (although in the video it is the previous RS version), it sure looks like the RS is capable of big and radical moves. Kelvin rides the board in the video without boots. Which makes it possible to do the old school board offs (adding at least a few spins). Leaving the impression to the viewer that the RS certainly also has a freeride side to it. After asking at Spleene we understood for using boots (and to ride more freestyle/wakestyle) it is recommend to use the more radical and reinforced RS 38 Wake, which will be released in November 2016. 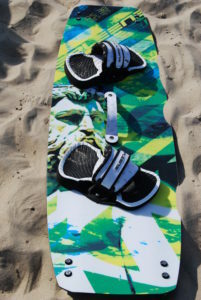 At a first glance we thought, mainly by its 42,5 cm width, that the board would either suit best a heavy person and that it would do a good job in light winds. But this is not the case. The board, as mentioned above, feels much smaller than its figures would suggest (and yes we measured the width, it is 42,5 cm wide). 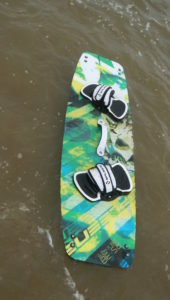 The RS board with two concaves and medium rocker. feels also surprisingly sparkling and alive. It easily reacts on input from the rider to turn, jump and go up or downwind or hit a wave. It has a medium pop and when boosting the board hugely into the air it is the first time you notice the board is bigger than average. Especially when it starts to get blowing really above 25 knots we would have liked to see how its smaller brother (the 135 cm version) would have felt. The rail of the RS isn’t as sharp as a radical pure freestyle or wakestyle board would have. We think the aliveness of the RS is a bit of a -logical- trade off for some radical aspects. For instance when really pushing it, overpowered or railing it up for a unhooked move for example, the board will get out of its comfort zone. 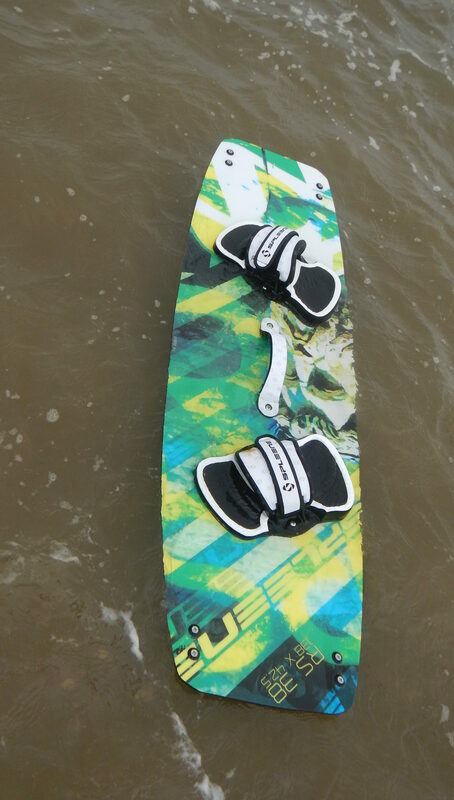 The pads and straps are comfortable and a good combination of having still some damping of the impact but still be in touch with the water. The pads have a small, nice cushion where to get your toe’s pushing up to, which fits bigger feet better than small feet. Going upwind is easy, mainly due to its size, and the same is for getting going. It pretty quickly gets planing with an respectable end speed. The RS is a bit stiffer than an average freeride board. This helps some aspects, like getting going or going upwind, but the downside is the slightly harder landings, than for example the F-one Acid but a bit softer than the stiffer Trax. For a board this sizes it goes remarkably easy through the chop and we noticed considerably less spray in the face than most other twin tips.